Sunset over the Coral Sea from The Pinnacles Resort & Spa. The gateway to the Whitsundays is shrugging off its backpacker reputation with style, as Rachel Smith discovers. 2pm Check in to The Boathouse Apartments by Outrigger at the Port of Airlie. You’ll find deep balconies with marina views in these boutique self-contained apartments, which feature a nautical vibe (sans daggy driftwood). Expect squishy turquoise sofas, rattan lamps, plantation shutters and polished timber floors like a swanky yacht. Two-bedroom apartments from $329 per night. 3pm Bars boasting 800 different beers are a rarity, so there’ll be no keeping lager lovers from the Denman Cellars. A moreish tapas menu serves up plump local oysters, pastry-wrapped prawns, and charcuterie boards with paper-thin Jamon, bread and balsamic-drizzled rocket. 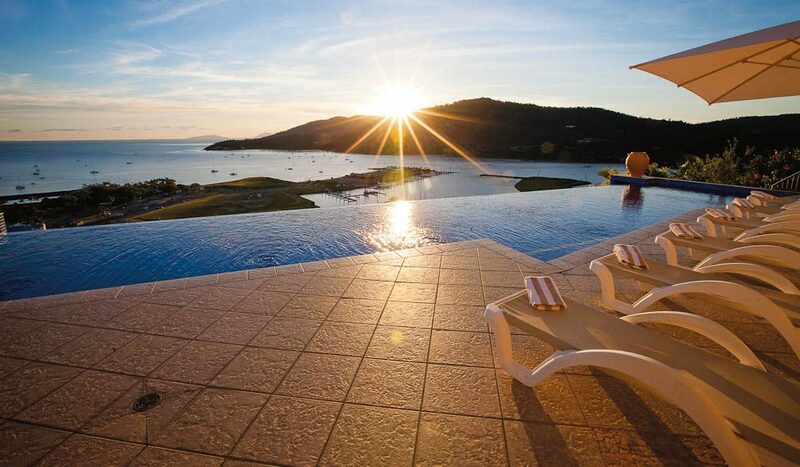 5pm Sunsets in Airlie Beach are spectacular; catch one on the beachfront deck at Cactus Jack’s, cocktail in hand. 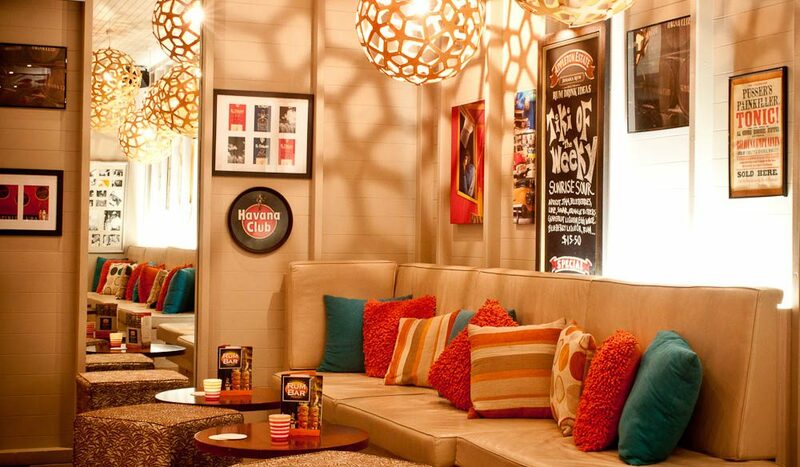 7pm For a casual dinner, Mangrove Jacks on the main strip is all about the wood-fired pizza. Order a Doof Doof Sub Woofa Supreme and dine alfresco so you can people-watch while you munch. Despite an RSL vibe, Mangroves has personality right down to its tipping jar, which states: ‘Every time you don’t tip a young child grows a mullet’! Those comedians. 9pm Backpackers may still dominate the famous Airlie Beach party scene, but it’s worth dipping in for live music, a game of pool or a poker tournament. Bar-hop along Shute Harbour Road to Magnums, which lures a mixed crowd and is good fun, as pubs go (barring the weekend wet T-shirt competition). 7am If you snooze you’ll lose out on a true local institution: the Saturday markets on the Airlie Beach foreshore, an easy walk from The Boathouse to browse stalls of colourful beachwear, souvenirs and handmade jewellery. 8am La Tabella isn’t far for brekkie – or grab a bacon and egg roll at a café under The Boathouse and eat on the grass by the marina in the sun. 9am Pick up a jeep from Fun Rentals and head to Whitsunday Airport (a 20-minute drive) for a scenic flight over the area with Air Whitsundays. After a safety briefing by the pilot, the eight-seater seaplane soars over the archipelago, which was discovered by Captain Cook in 1770 on Whit Sunday (or Pentecost Sunday) – hence the name. 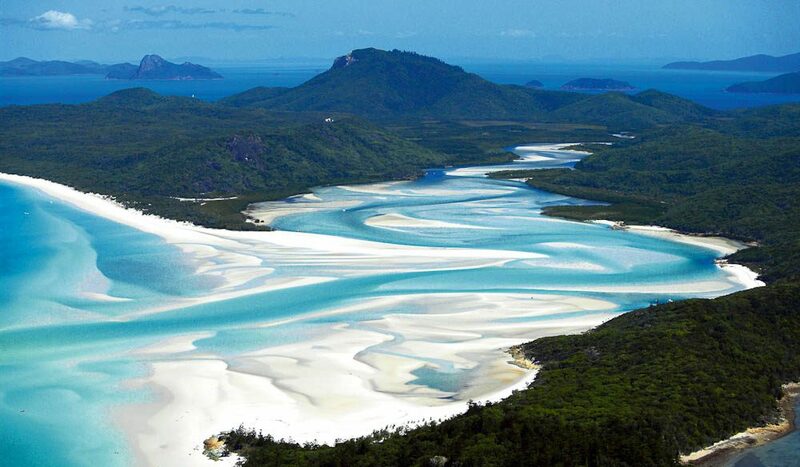 You’ll spot Whitehaven Beach, countless islands, and Hardy Reef, a breathtaking sight that’s actually visible from space. The highlight is tiny Heart Reef, which looks like a swimming pool you might find a bare-bottomed Cupid lolling about in. But you’re more likely to spot turtles. Jeep hire is from $94 a day from Fun Rentals. Scenic flights from $290 per person. 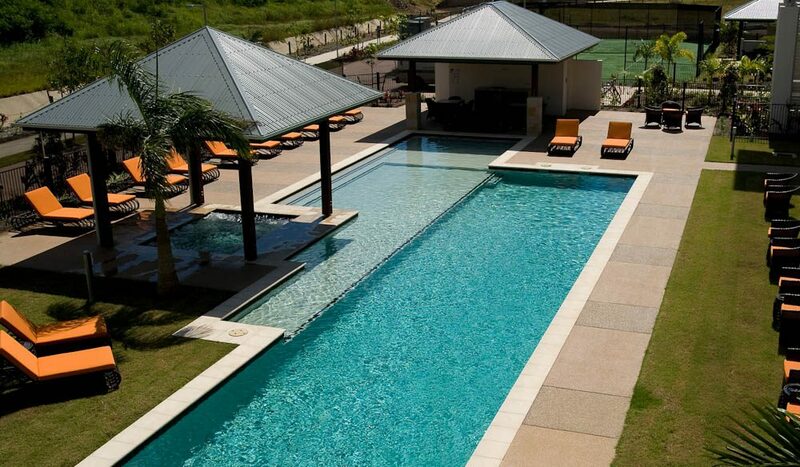 11am Back in town, check in to The Pinnacles Resort & Spa, a seriously luxurious peach-coloured collection of apartments nestled high on the hillside. Each apartment has sea views out to the Coral Sea. And some have jacuzzis. Yes indeedy. One-bedroom apartment from $215 a night. 1pm Pop down the top and steer your Jeep down Shute Harbour Road towards Bowen. Through miles of sugarcane and an unsealed road, you’ll find stunning Hydeaway Bay– and beachfront bar and resort, Montes. This is a true local secret and you’ll understand why once you clock those calm azure waters, swaying palms and powdery sand. 4.30pm Head back to The Pinnacles, put the champers on ice and crank up the jacuzzi on your deck. 7pm Hungry? Head to Fish D’Vine, a restaurant and rum bar famous for its mojitos. Owner Kevin may twist your arm to order the specialty mud crab, with the promise of both ‘an experience and a meal’. He’s got that right: you’ll need a bib and more implements than Dexter to get to your dinner, but the tender crab meat – and the spicy Thai sauce drizzled over it – is heavenly. 9am Stretch your legs on the Bicentennial Walkway, a 3.7-kilometre coastal trek between the Airlie Beach lagoon and Cannonvale Beach. The Coral Sea Resort is off the boardwalk, and the buffet brekkie by the pool is a must. 10am Want the biggest buzz for your buck? Hire an Island Parasail jetski, from the jetty by the Coral Sea Resort. It’s impossible to wave-bash one of these babies without squealing with joy (even the sore bum is worth it). From $90 for half-hour. 12.30pm Arguably the best use of your Sunday afternoon is at Deja Vu’s Long Lunch at the Water’s Edge Resort. As a guitarist croons in the corner, you’ll nosh on platters of antipasto, tender-soft squid and lamb pizza by the pool. Lunchers are known to trolley out of here around 5pm. Respect. $44.50 per person. 3pm Planes wait for no one (dammit), so grab your gear and await a pre-booked pick-up by the ‘Whitsundays 2 Everywhere’ shuttle to Whitsunday Coast Airport in Proserpine. Some hotels such as The Pinnacles include complimentary airport transfers in longer package stays, so check when you book. From $18 one way. 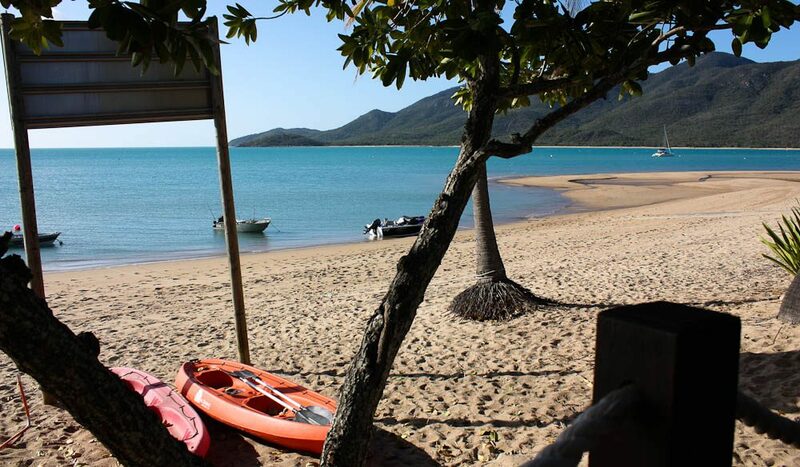 From Whitsunday Coast Airport (in Proserpine), it’s a 30-minute drive to Airlie Beach. There are buses, taxis or the aforementioned shuttle bus (pre-book at whitsundaytransfers.com). 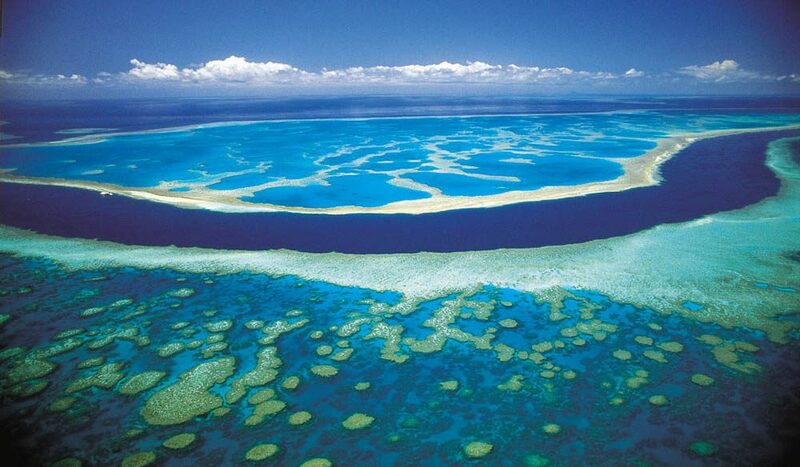 If you fly into Great Barrier Reef Airport (on Hamilton Island), take a 30-minute ferry transfer to Abel Point Marina. Got time to spare? Head to Cedar Creek Falls, a local watering hole most spectacular after heavy rains. And, if you’re itching to indulge your inner skipper, book a sailing tour or a barefoot charter from the marina.